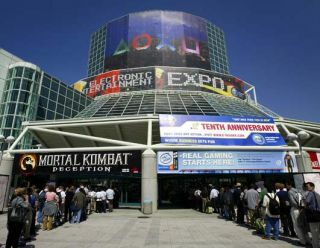 Following earlier reports that the Electronic Entertainment Expo (E3) is set to return to its former glory in 2009, TechRadar polled the editors of a number of key gaming magazines to gauge their response to the news. "I thought year's E3 was an utter shambles," says Tim Clark, editor of Official PlayStation 3 magazine. "With software publishers operating a wait-and-see approach that resulted in underwhelming booths and precious little in the way of worthwhile announcements." "E3 used to be the most exciting and important event in the gaming calendar – in the glory days my emails back to the office resembled a shell-shocked soldier trying to come to terms with the madness – but the 2008 version had all the razzmatazz of a fax machine convention." "Nobody seemed happy with this year's E3," agrees Jon Hicks, editor of Official Xbox 360 magazine. "Trouble is, after this year, I don't know if the big publishers will trust E3 enough to return." Gavin Ogden, editor of CVG.co.uk thinks that it would be "great to see a major gaming expo return, but it needs to be open to the public. Or at least part of it." "Imagine the scenes, as Bungie announce a new Halo game to roars of its fans - rather than paid-for Microsoft whoopers (and US journalists)," adds Ogden. It was increasingly clear following last year's show that "something had to be done, and something big" says OPM3's Tim Clark. "But whether simply returning to the old mega-blowout format is the answer, I'm not so sure. "Most of the big players pulled out because the cost of participating had become so exorbitant that they realised they could get more, and better, coverage by holding their own bespoke events. "Even if the games industry is partly insulated against the impending financial apocalypse, I'm not certain many of the the third parties will want to start splashing tens of millions of dollars just so teenage bloggers can tell them that their stand smokes pole."